Dan Byford is credited with tying the first Zonker back in the mid 1970’s, and it remains a staple fly pattern to this day. Much like the Clouser Minnow, the Zonker is an extremely versatile baitfish pattern that has accounted for a wide variety of fresh and saltwater species across the globe, and can be actively retrieved or dead-drifted with equal success. Dan Byford is credited with tying the first zonker back in the mid 1970’s, and it remains a staple fly pattern to this day. It features a body composed lead wire encased in mylar tubing, and a rabbit strip running from the base of the head down to the tail. 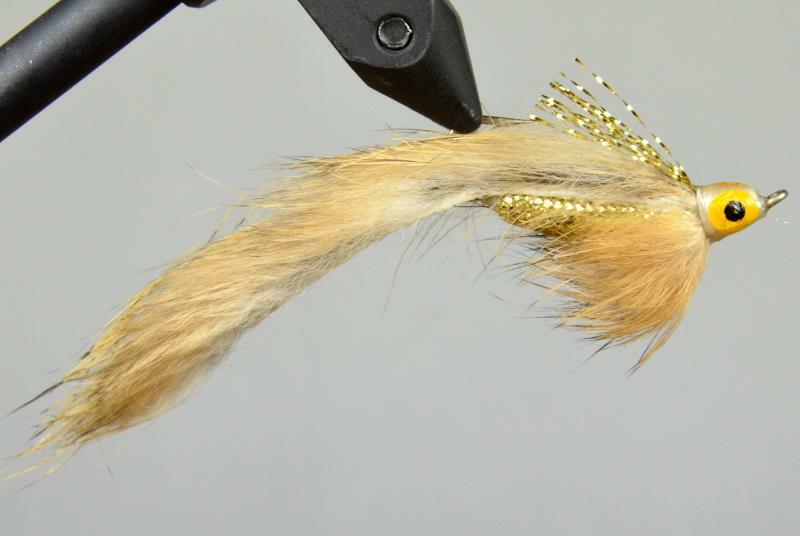 Much like the Clouser Minnow, the Zonker is an extremely versatile baitfish pattern that has accounted for a wide variety of fresh and saltwater species across the globe, and can be actively retrieved or dead-drifted with equal success. Because there are a lot of distributors for this pattern, we always purchase our zonkers from companies that tie them keel style with the hook point riding up. This helps keep the fly from hanging up on the bottom when dead-drifting on a tight line presentation or under and indicator, and the lead wire within the mylar body ensures that it gets down and swims correctly with the head pointed forward. We use the zonker a lot on the Madison and other rivers and lakes around southwest Montana, and it deserves a couple slots in every angler’s fly box.